In Store Price for the 700 x 23 is 47.95!! In the research and development laboratories for Continental bicycle tires in Korbach, Germany, the staff and engineers have been looking for the solution to one of the fundamental problems of tire construction: The running properties of the rubber compound of a tire are largely determined by three interacting factors: static friction (grip), rolling resistance and mileage. The dilemma is that you improve one of these factors, and in turn, worsen at least one other factor. 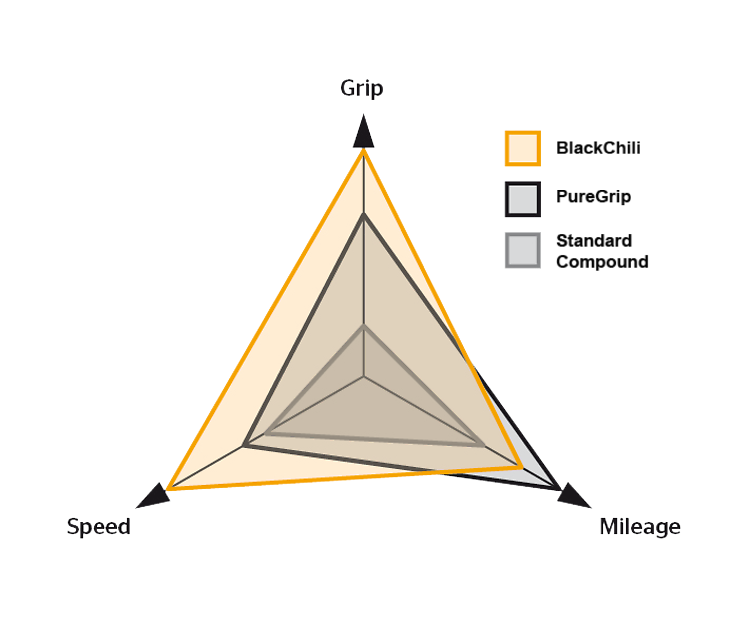 A tire with maximum grip wears out faster and rolls slower. If one makes the tire faster or more durable, then this in turn reduces grip. With the then current highest standard of compound technology, the Activated Silica Compound having already reached a very high standard of compromise, our developers wanted to take compounding to an even higher level. This lead them to venture into new territory, exploring new ways so that in 2005 they made a breakthrough in mixing technology, the first steps to what is now known as BlackChili. This revolutionary compound is based on the latest findings on polymer and other raw material research. 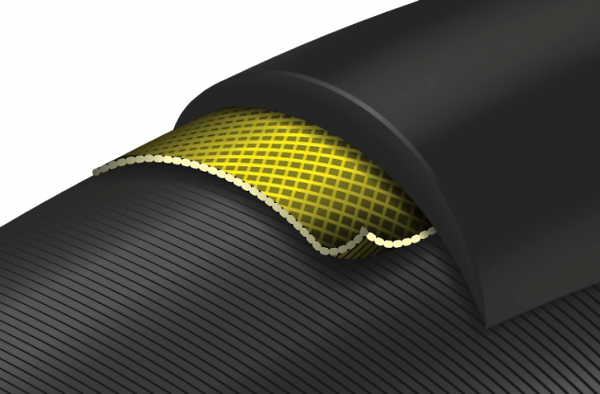 For BlackChili we refine newly developed synthetic rubbers with natural rubber with the proven high-performance tread compound. 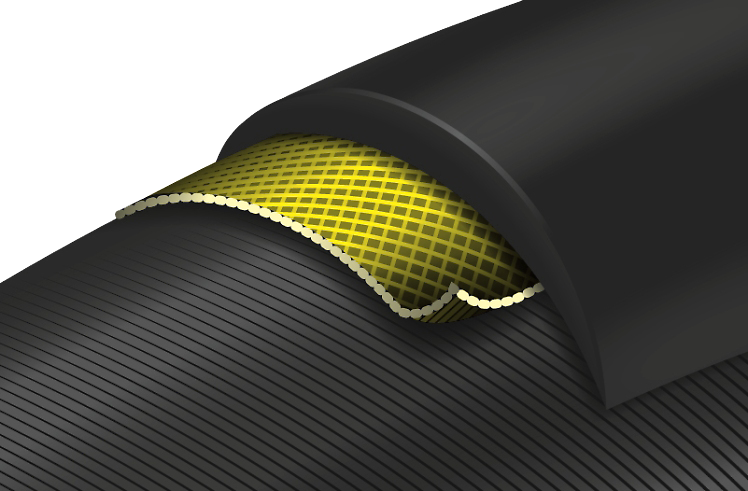 We use these rubbers with special nanometric carbon soot particles, which are optimized in shape and surface properties for best uses for the intended tire. BlackChili Compound reaches an unprecedented of performance. Tires with BlackChili Compound reach an unprecedented level of performance. 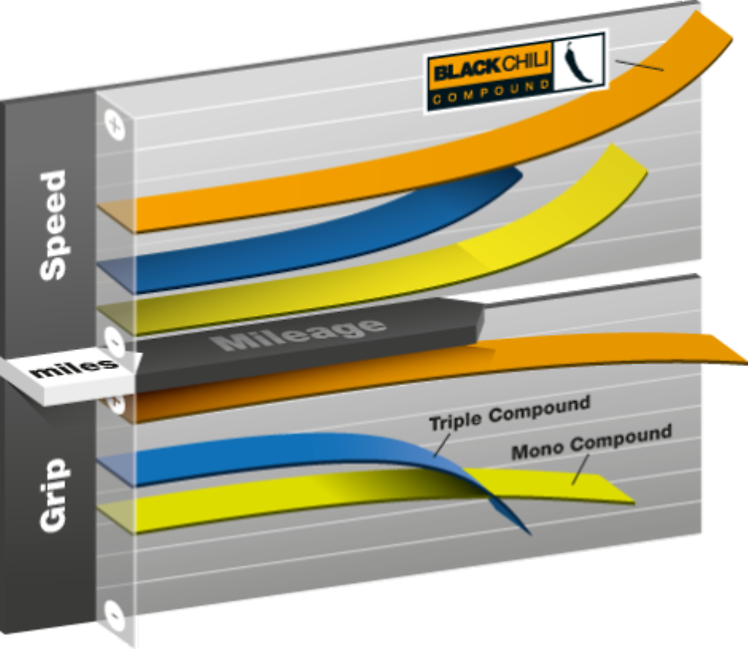 Compared to the previous best Activated Silica Compound, BlackChili tyres have 26 % less rolling resistance, a 30 % higher friction value (grip) and a 5 % increase in mileage. BlackChili technology never stands still as it is continuously developed and tailored to the individual applications of new Continental tires as they continue to be produced out of the Korbach factory. Whether on the road or mountain bike, speed and grip advantages are very noticeable. The complex compound technology is so sensitive that tires with BlackChili Compound can only be produced exclusively in our German Korbach factory. 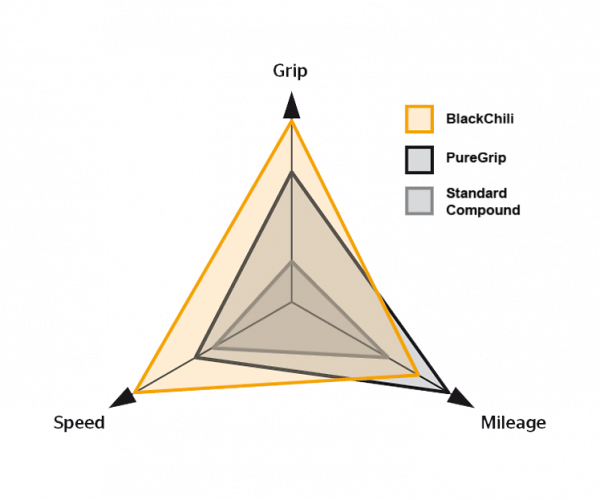 Premium tires with BlackChili Compound also impress with higher mileage and unlike many multi-compounds, provide a constant ride from the first to the last mile. 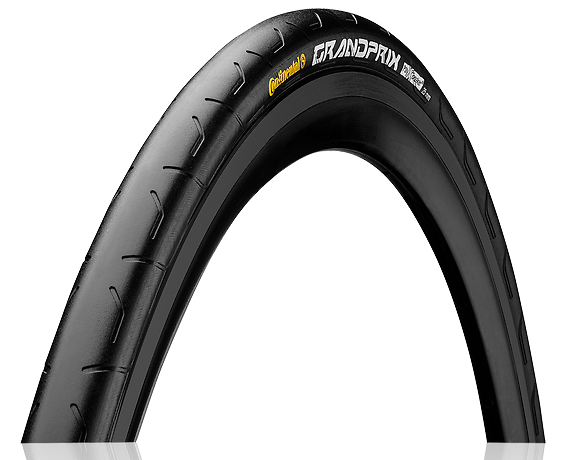 Puncture-defenceWith our PolyX Breaker®, we bring our car expertise to the bicycle tire segment: Polyester has been used successfully for years in car tires and been tried and tested many times. The extremely resistant polyester fiber is woven tightly crosswise. In this way, a very high fabric density is reached which not only makes the Breaker more resistant to foreign objects but is also especially resistant to punctures. The rolling resistance is also not negatively affected by the PolyX Breaker®.